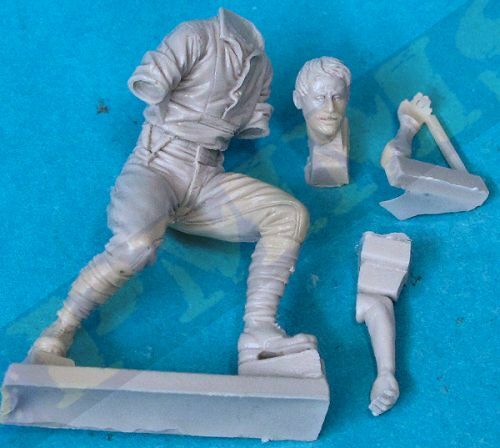 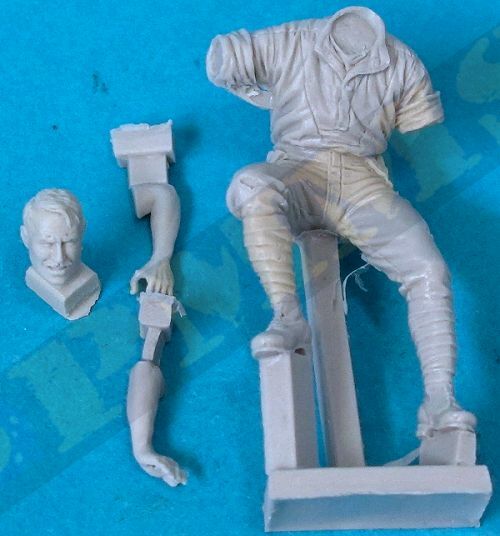 Tommy’s War have released a number of WWI figures and equipment in 54mm (1:32 Scale) and this is the first in their Victoria Cross Heroes series that depict an action in WWI where one or more soldiers involved were awarded the Victoria Cross for their heroism. 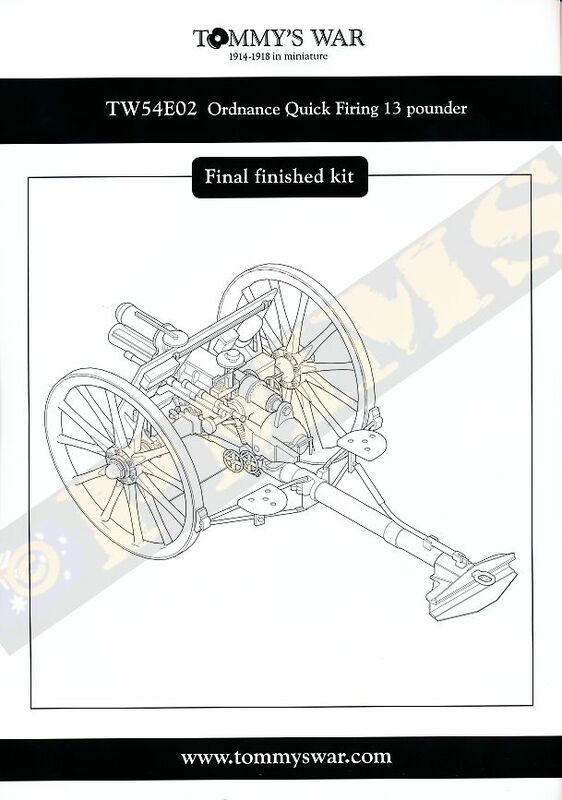 This new kit depicts a scene of ‘L’ Battery Royal Horse Artillery in action against a surprise attack by the German 4th Cavalry Division at Néry in northern France on 1st September 1914 that resulted in a German withdrawal and the VC awarded to Captain Edward Bradbury (posthumously), Sergeant George Dorrell and Sergeant David Nelson for their bravery during the battle. 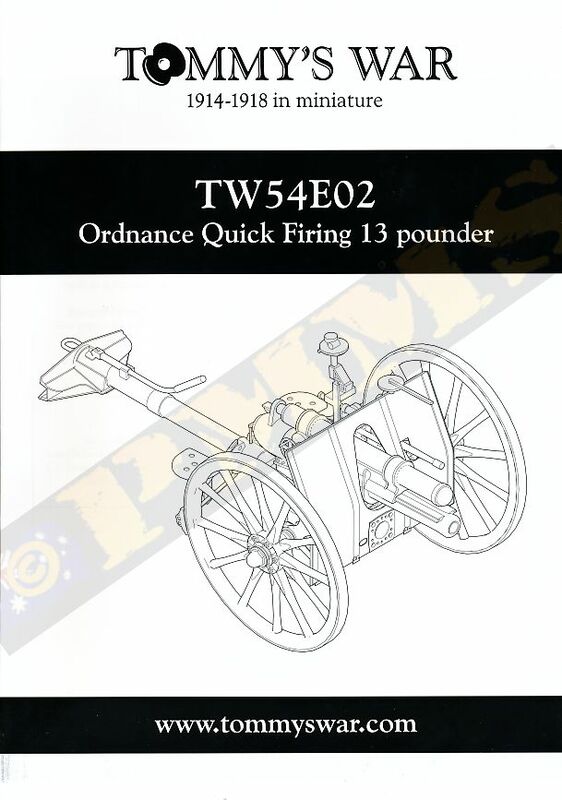 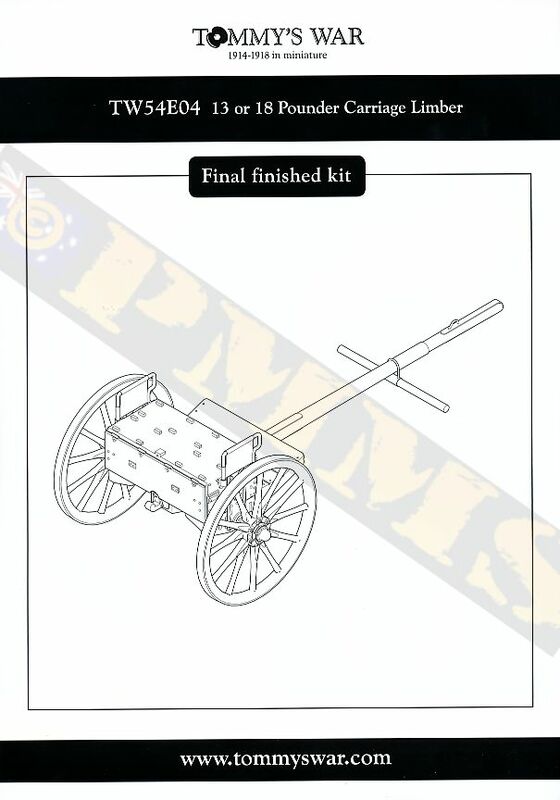 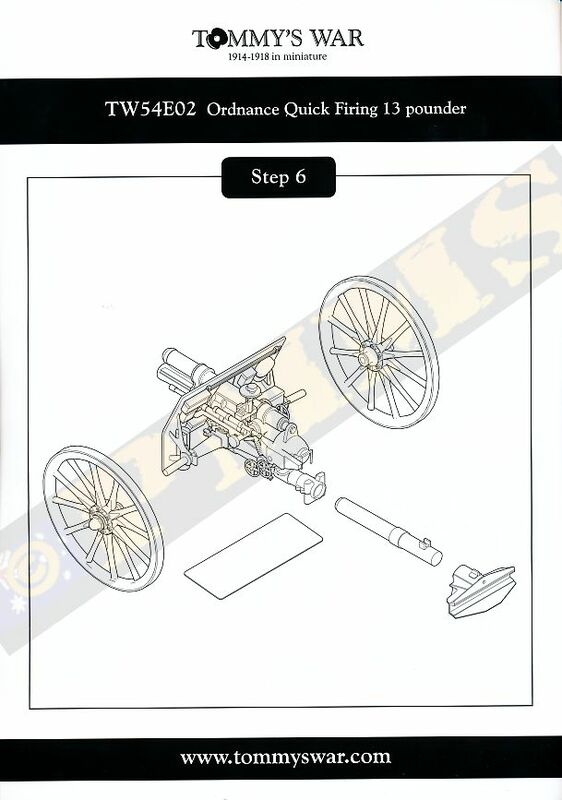 The kit is a combination of separate Tommy’s War sets, the Ordnance Quick Firing 13 Pounder (set TW54E02), 13 Ponder Carriage Limber (set TW54E04) and four figures depicting Bradbury, Dorrell and Nelson plus a fourth casualty, sets: TW54019. 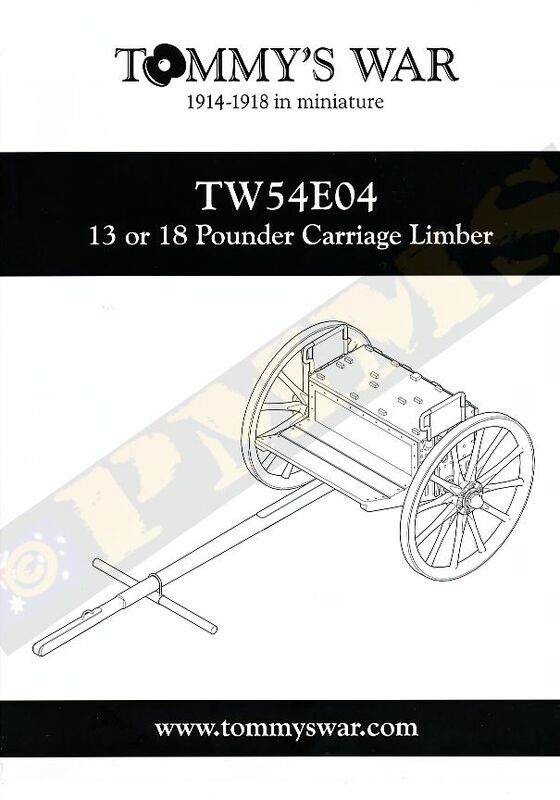 TW54020. 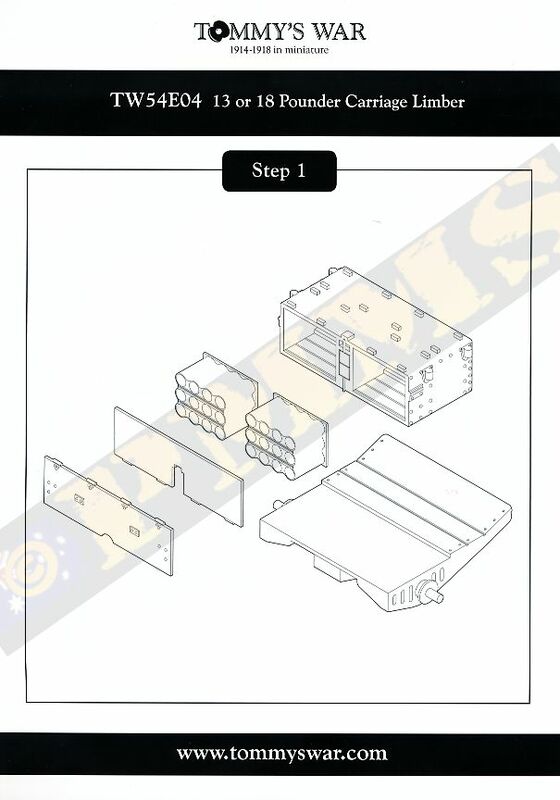 TW54021 and TW54022. 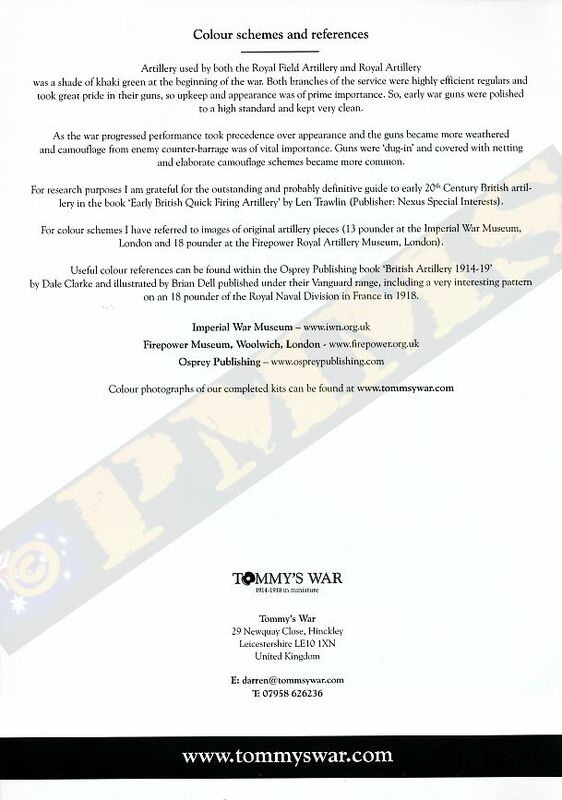 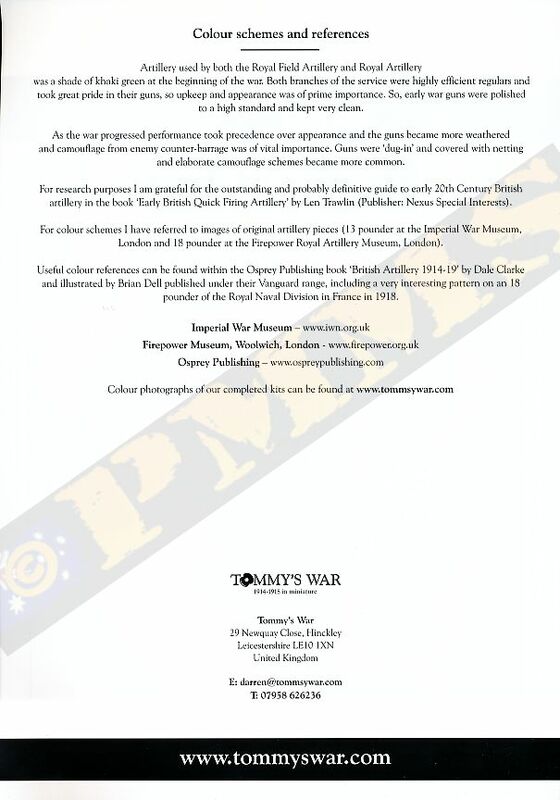 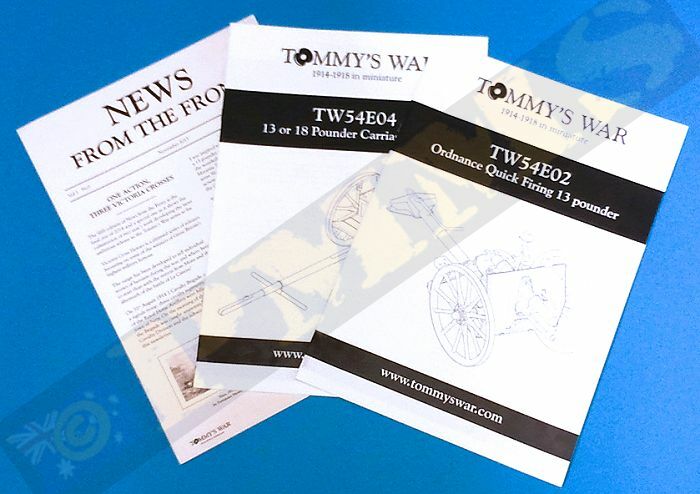 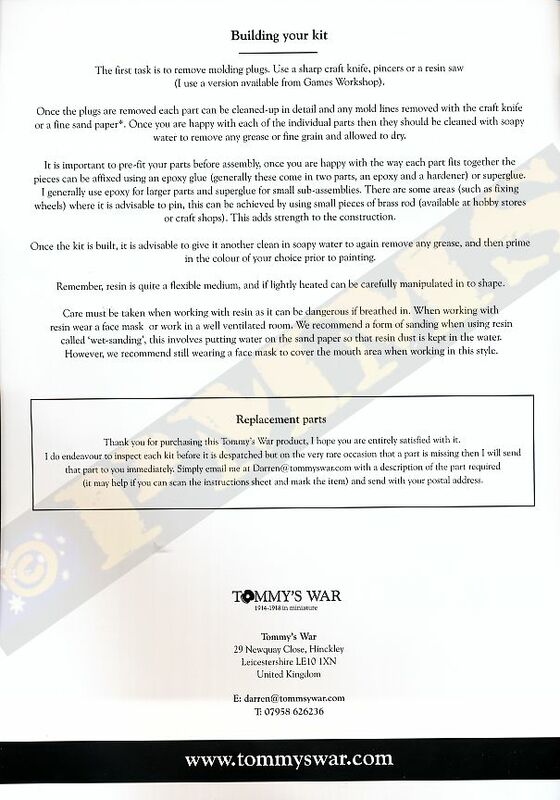 Also included are two A4 sized instruction booklets, one for the 13pdr, one for the Limber and an issue of Tommy’s War newsletter “News from the Front” that details the action at Néry on 1st September as well as giving technical data on the 13 and 18 pdr and Limber. 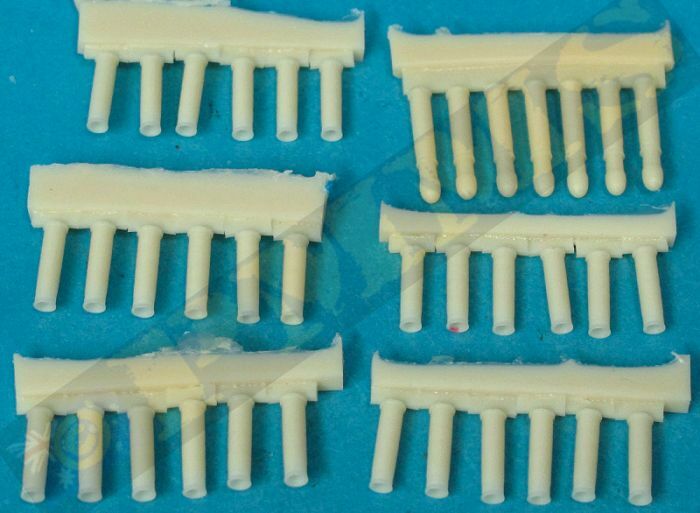 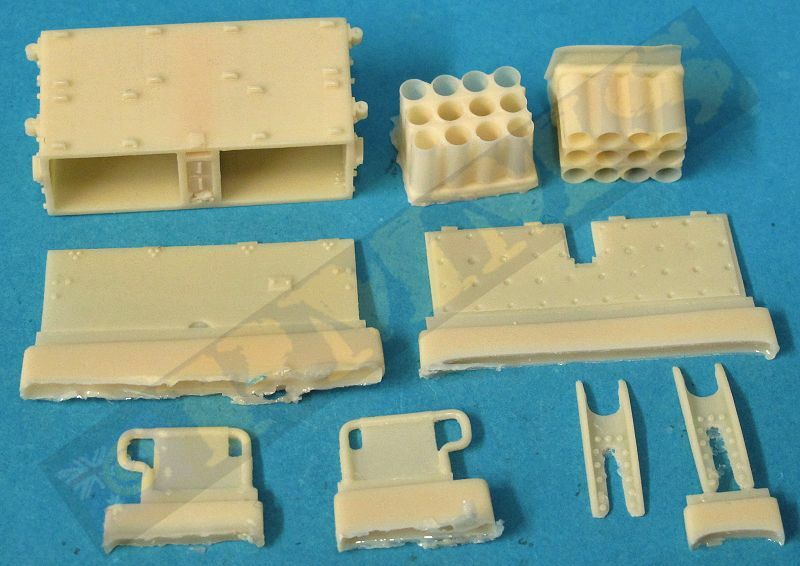 The standard of resin casting is excellent with just the usual casting blocks to be removed and no air holes evident, there were some small holes exposed when removing the bigger casting blocks which will need attention but not a lot. 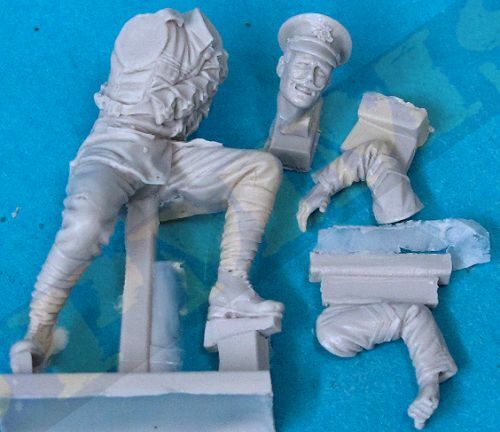 There were also some under surface air holes visible but if you don’t disturb the surface these are not a problem while the resin is soft and not brittle so is easy to work with while still having crisp details. 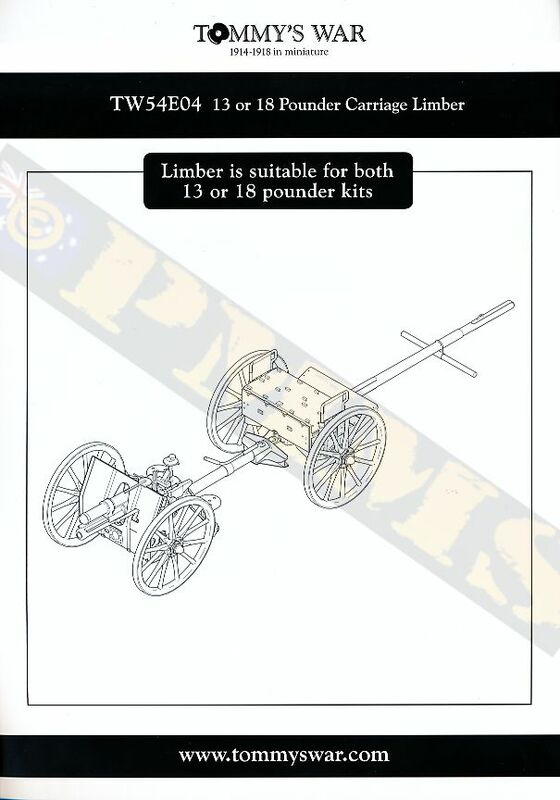 The 13 pounder is a fairly straightforward build as far as resin kits go with a 8 part main gun/cradle assembly to which is added smaller hand wheels and sight. 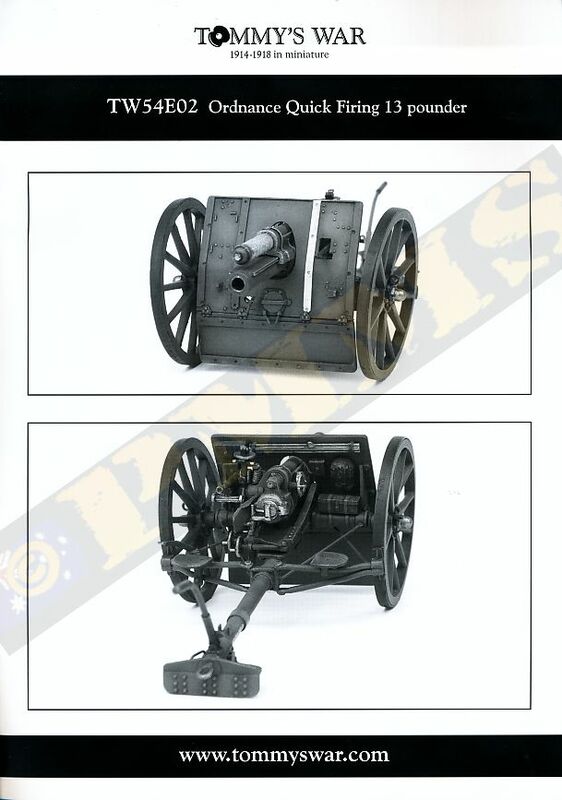 The shield is cast commendably thin with nice outer details and smaller details added to the inside as well as fine gun mounting brackets with a folding lower shield that can be fitted in the raised or folded position. 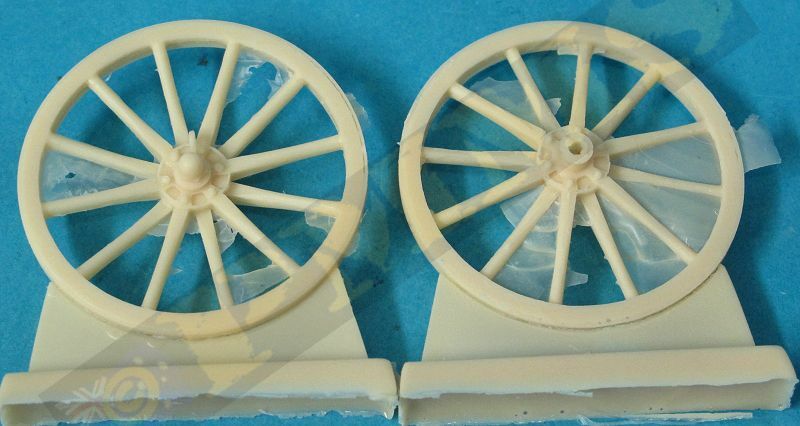 The two spoke wheels are very nicely done with excellent hub and spoke details, there is some fine resin film to be removed from between the spokes but this is easily removed with the wheels fitting easily to the carriage axles and the single trail arm and rear spade added. 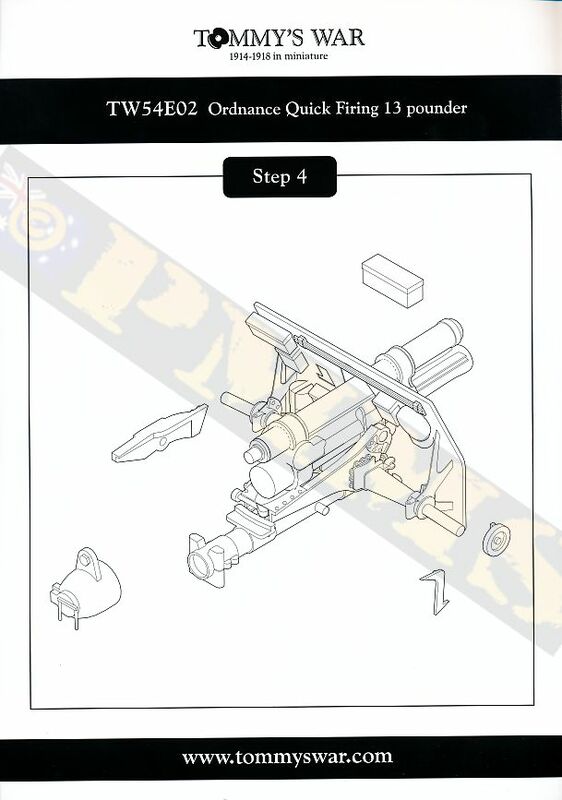 There are also two crew seats added to the trail to complete the gun. 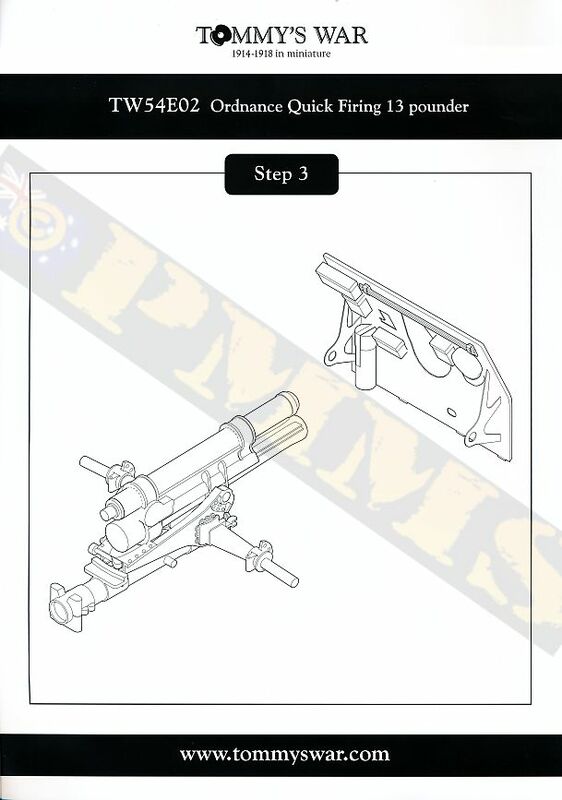 The limber is also a very straightforward with the ammo box fitting to the large base plate with two finely cast ammo canisters; these have extremely thin sides and need careful handling when cleaning the excess resin from the base. 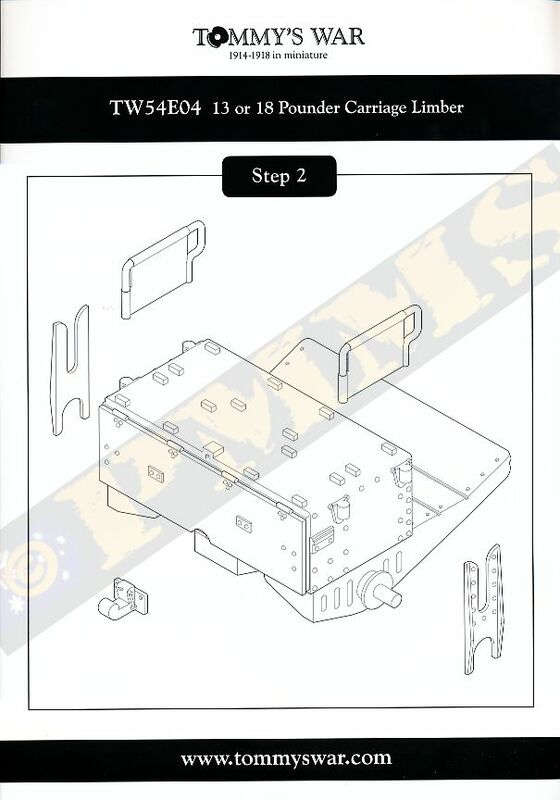 There are two doors on the box that can be fitted open or closed as well as top guards and side fittings along with the three part towing post. 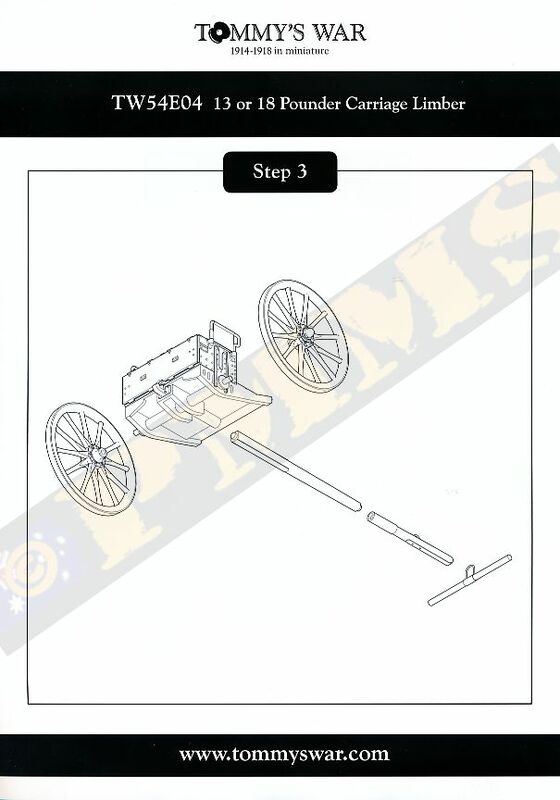 Finally the spoke wheels which are the same as for the 13 pounder are fitted to the axles without any problems. 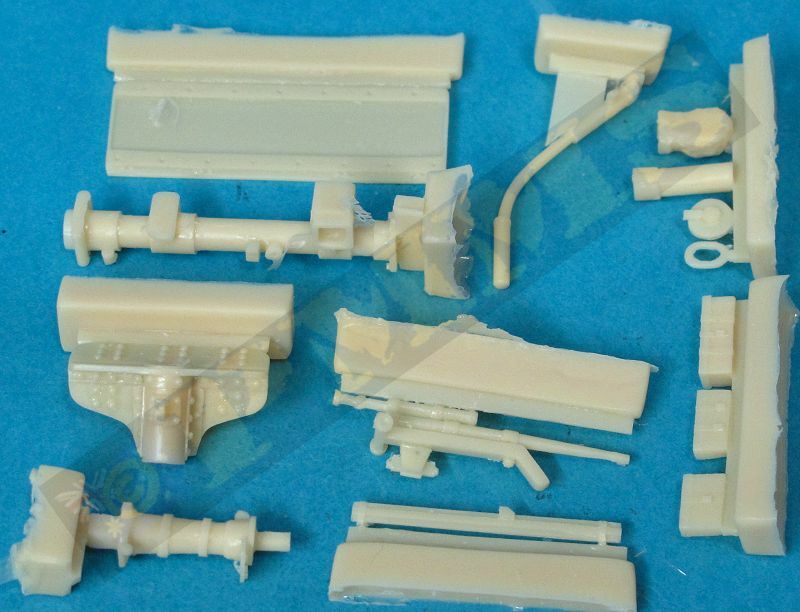 The assembled limber fits to the gun trail if assembling the two in the travel configuration or placed separately in a diorama. 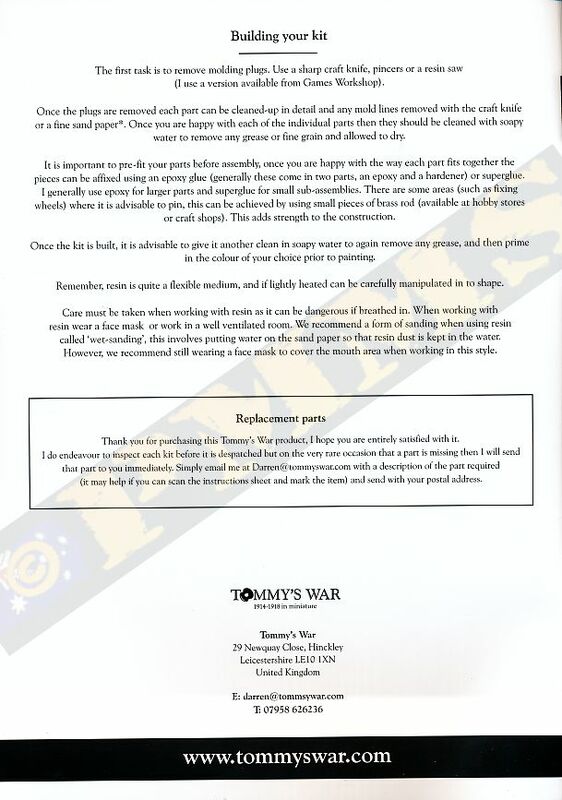 The additional shell casings can be fitted into the limber as required to show ready ammo as well as spent cases on the ground and the rounds can be used with the figures as required. 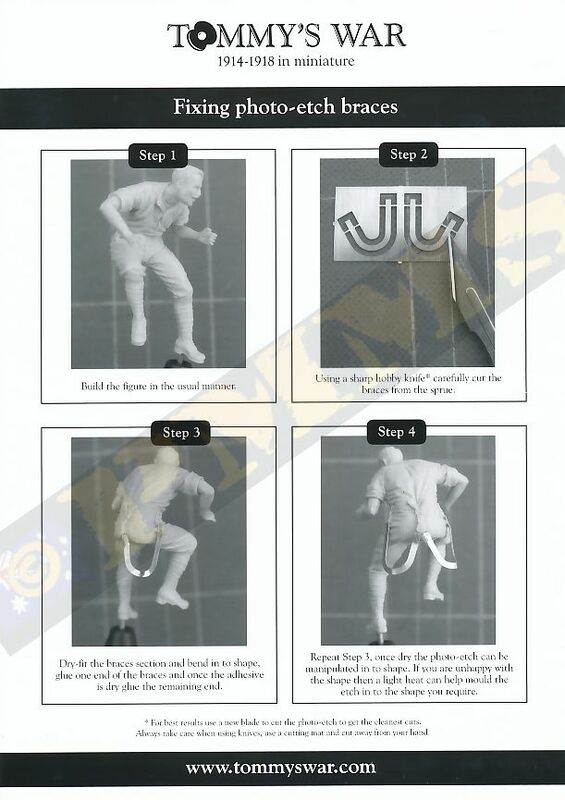 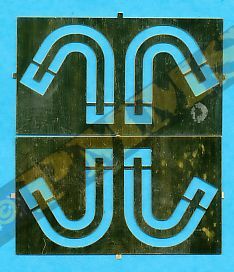 While the resin parts are easy to clean and assemble the biggest issue with the kit is the instructions. 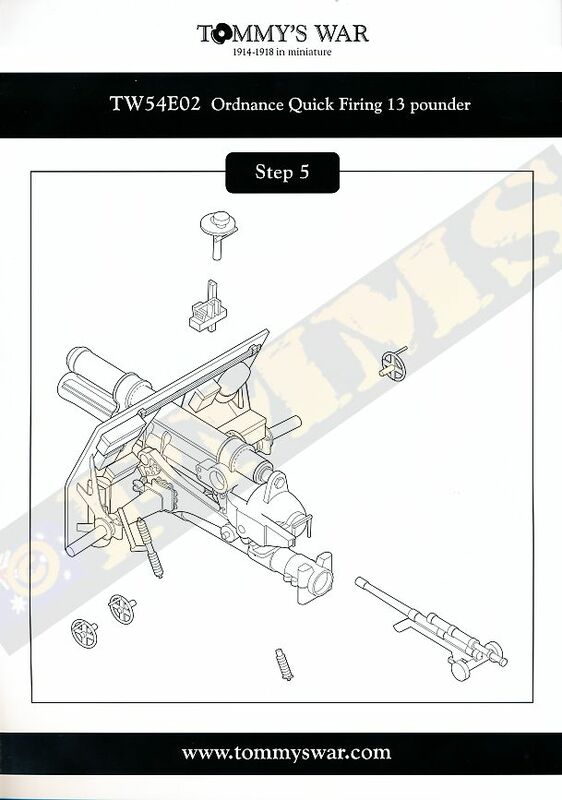 The exploded view drawings in the large A4 sized pages are clearly drawn but the there are no arrows showing the parts location and it’s very confusing where some of the parts go, especially with the smaller parts on the gun assembly. 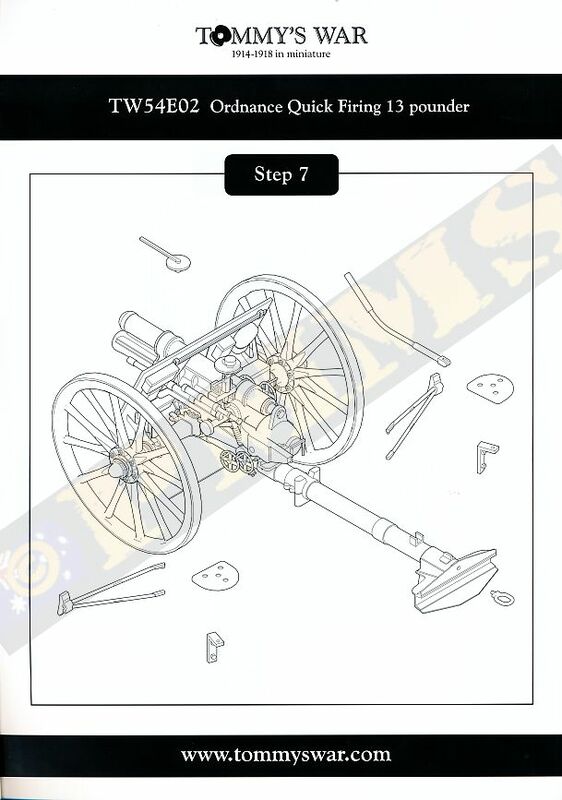 You will need to look ahead in the instructions and at the assembled kit photos at the back of the instructions to work out where some parts go. 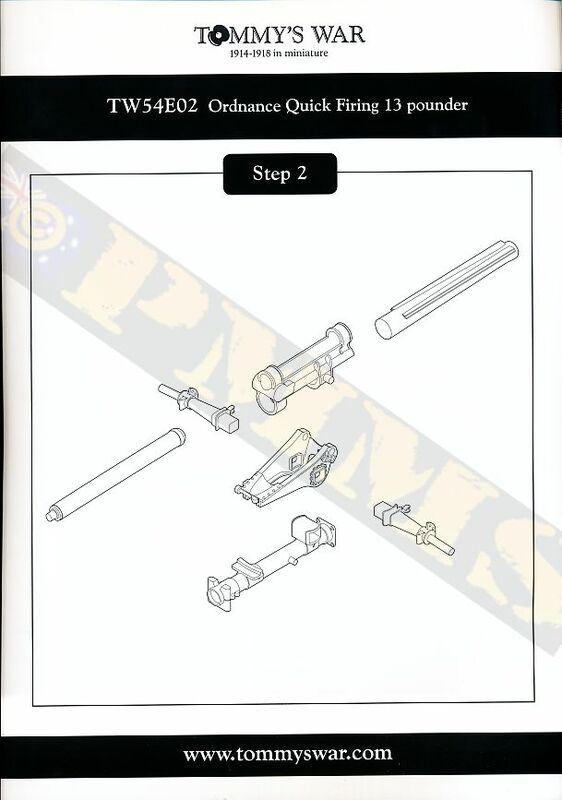 The same applies to both the gun and limber instructions unfortunately and some study of the instructions is needed before gluing. 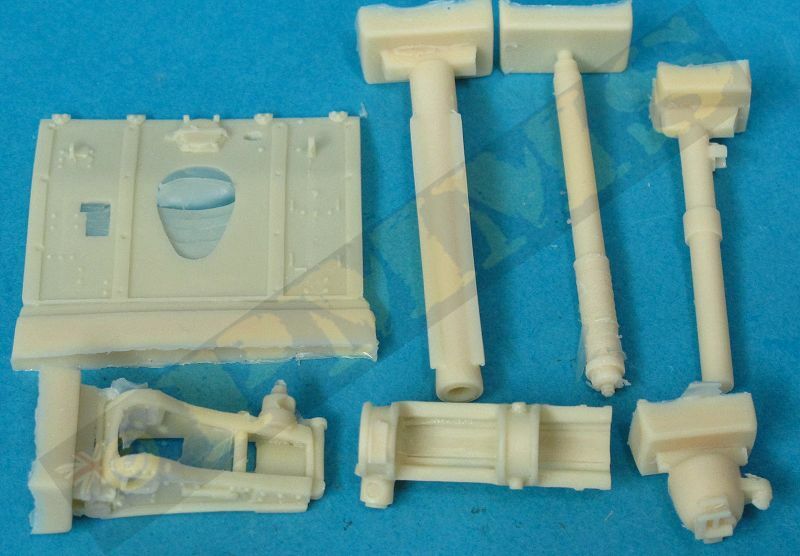 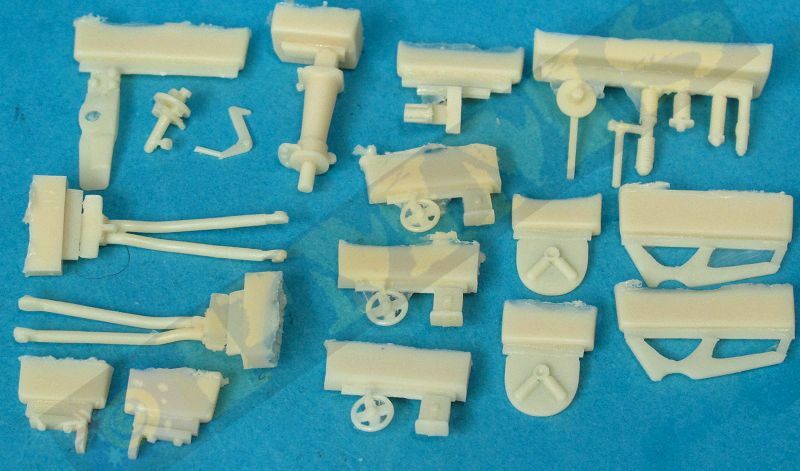 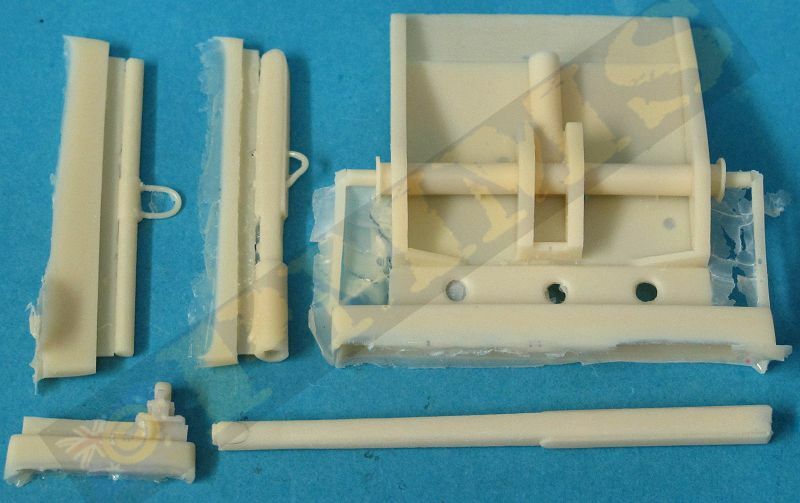 This is a superb little kit with high quality resin casting, minimal clean-up required and very straightforward assembly of the 13 ponder gun, the limber and the four figures for a ready-made Western Front diorama. 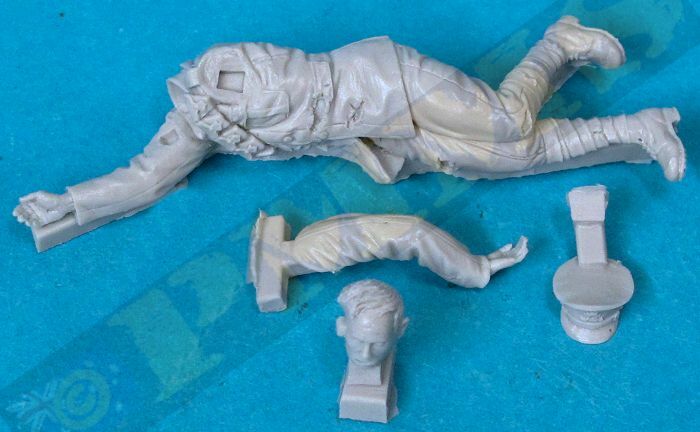 Being 54mm (1:32 scale) shouldn’t be a problem for a stand-alone diorama but if incorporating with any 1:35 items may see a slight difference in scale. 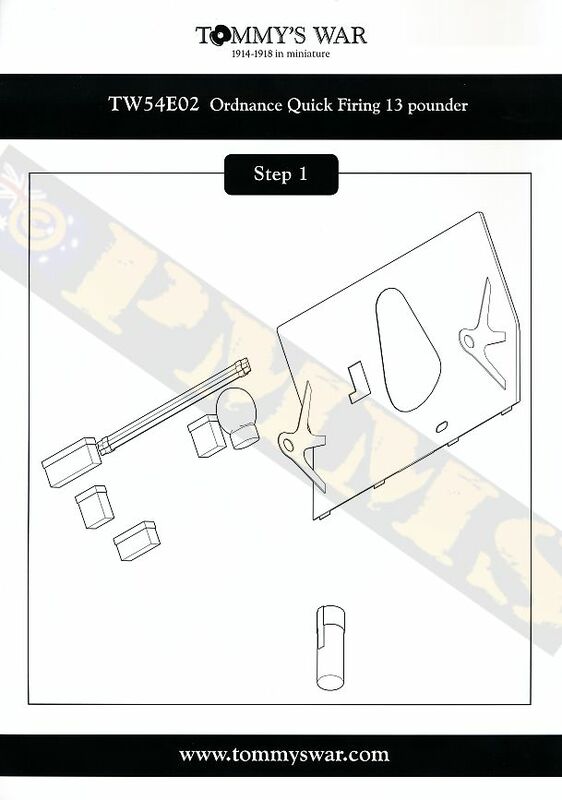 The only concern is the somewhat confusing instructions without the parts locating arrows and you will need to study these careful before gluing but as the assembly isn’t that complicated there shouldn’t be any real problems.